My Opinion: 6.2 || A tidy noirish thriller with interesting characters and a few superior moments. The ending is bizarrely abrupt, as if the real ending got lost and something had to be thrown together, but that doesn’t detract much from the movie’s satisfactions. 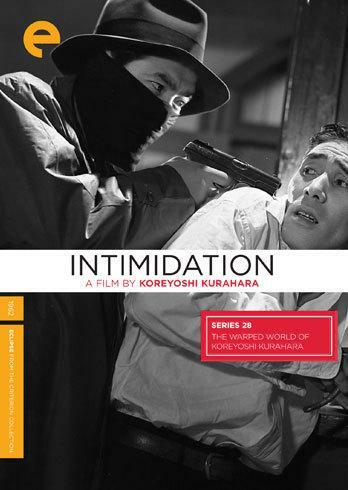 SYNOPSIS (Courtesy of Hulu/Criterion): Koreyoshi Kurahara’s ingeniously plotted, pocket-size noir concerns the intertwined fates of a desperate bank manager, blackmailed for book-cooking, and his resentful but timid underling, passed over for a promotion. Strengths and Weaknesses: Nothing terribly original in the plot, and the big third-act twist is a bit hard to square with everything that’s come before, but the story moves well and carries more emotional resonance than you’d expect in a film of this type. There’s real pathos in the failures of our milquetoast protagonist, and his indignities sting. Characters/Performances: Ko Nishimura is very good as our protagonist, conveying shy diffidence without overselling it, and Nobuo Kaneko is equally good as the desperate bank manager who’s teetering between triumph and ruin. All of the secondary characters ring true as well, with credible performances from everyone. Best Moment: Great bank robbery sequence in which the bank robber has to remain silent to save himself from identification. Sweat on the brow, mask that keep slipping — it’s a really good, tense sequence. The movie’s most chilling scene, though, is the one that comes after, when the manager humiliates our protagonist for not preventing the robbery that the manager himself carried out.